I was first introduced to Joe by the publisher John Hale, who ran Robert Hale, in 1986. I was working then as a freelance writer and editor, and was asked whether I might like to collaborate with an interesting-sounding man who was a successful hypnotherapist. Apparently, Joe Keeton had a story to tell, and wanted a writer alongside to help him tell it. I was intrigued, and agreed to do it. 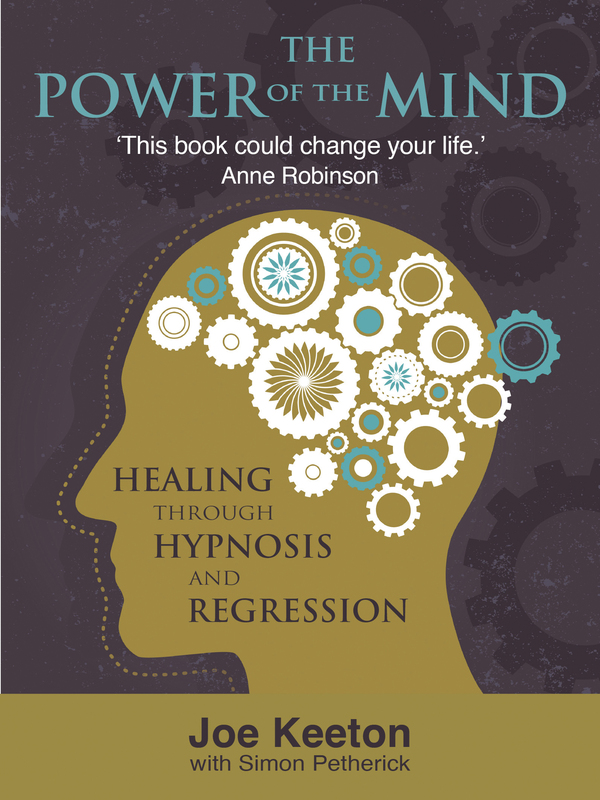 Joe had already assembled a lot of information and thoughts, both about his own theories behind the workings of hypnosis and hypnotic regression, and about the experiences of people who had undergone hypnotic regression with him. One of the first things that was very striking about him – apart from his physical presence, which we’ll come to – was his lack of dogma, his very open curiosity and his refusal to believe that he knew all the answers. He knew what effect he had on people, he had helped thousands of people by that stage to deal with personal demons or physical ailments through the process of hypnosis. But he didn’t dare to suggest that he knew how it worked. Meeting Joe at one of the all-night regression sessions he held in Kings Langley was both formidable and comforting. Formidable, because he was a big man in every way: not just an imposing physical presence, but also one of those people who dominated the room when he came in. Comforting, because he had the ability to communicate very directly and immediately with you without any sense of discomfort or embarrassment. It was fascinating to watch one person after the other sit in the chair and be guided into the hypnotic state by Joe. Those who had worked with him before could fall into that state in an instant by his use of a single trigger word; others who were new soon lost all sense of trepidation as he explained that hypnosis was really a self-induced state which enabled the person to access a way of being which modern man has forgotten to access. I remember two particular things that night. Remember this was the mid 1980s, so the anti-smoking laws hadn’t been born yet. Joe was a big smoker, and I smoked then too, so the room was pretty filled with cigarette smoke and overflowing ashtrays by the time that dawn broke. But at one point – and I was deliberately staying quiet during the evening in order to watch and make observations – Joe came over to me and pointed at my chest, and said: ‘Do you ever get pains in your chest?’ As it happened, I had felt them a little over the previous few months. ‘I thought so,’ he said. ‘I could feel your chest pain a moment ago. Smoking’s not for everyone. I think you should give them up.’ He wasn’t saying that everyone should give up, just that, for some people, they weren’t a good thing. Soon after, I gave them up, and apart from the occasional relapse over the years, have taken his advice. Then, towards the end of the night, he asked if I wanted to try and experience hypnosis. I seem to remember there wasn’t too much time left, but I agreed, and he suggested we just try a simple test to demonstrate to me how the process worked. Not everyone was able to be hypnotised. Sometimes, he said, those who most wanted it found that they couldn’t be hypotised, while some of his best subjects turned out to be those who initially were most forceful in their doubts about it all. He relaxed me, and then suggested that when I came out of the relaxation I was in – which I don’t remember as being a specifically different state of mind, just a relaxed one – I wouldn’t be able to lift up my left hand. Hah, I thought, this is ridiculous. It will be embarrassing, but I will have to show him that of course I can lift up my left hand – what a shame that it will have to be me that punctures the evening with a bit of sense. So out of relaxation I came, and try as I might, I couldn’t lift my left hand off the arm of the chair. ‘You didn’t want that to happen, did you?’ he said, smiling; he could tell exactly what had been going through my mind. After that small demonstration, Joe showed me, as he would show everyone who asked, how to self-hypnotise, a skill that 25 years later I can still use if I wish. At the moment, I am using it to try and encourage my slightly ageing body to repair some of the damage which too much sport and running over the years has done to my knees. I think it’s helping. I hope that on these pages we will be able to record other peoples’ experiences both of hypnosis under Joe and of the self-hypnosis he taught. All I know is that my brief time with him taught me more about human potential than most books have been able to teach me since. He truly was a memorable and unique person. Intriguing. I’m almost qualified in Cognitive Hypnotherapy and am fascinated by it. One of the key things we’re taught is that we don’t know everything and what is ‘true’ today may change. Joe sounded like someone I’d like to have met. just to let you know that Joe was a very good friend of mine, 1998-2003 and I will be composing my memories of the great man and posting them here shortly!